If you need a replacement gutter installed on your home in the Lexington area of Kentucky, turn to 31-W Insulation. We’ve been performing home improvement installations of all kinds for homeowners throughout the southeastern U.S. since 1972, so you can trust us for our decades of industry experience. Plus, since all of our installers are our own factory-trained employees, not subcontractors, your new gutters will be installed by experts who proudly uphold our commitment to outstanding customer service and workmanship, which is reflected in our A+ rating with the Better Business Bureau. Also, our gutter replacement team can install Armor Screen gutter protectors on your new gutters. 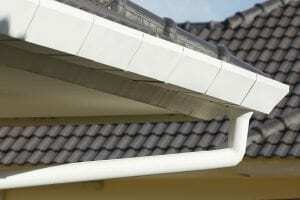 That way, you can improve the effectiveness of your gutters by preventing them from getting clogged with debris. For more information about our gutter replacement solutions for homes throughout Lexington, KY, contact 31-W Insulation today.